ESD: Circuits and Devices 2nd Edition provides a clear picture of layout and design of digital, analog, radio frequency (RF) and power applications for protection from electrostatic discharge (ESD), electrical overstress (EOS), and latchup phenomena from a generalist perspective and design synthesis practices providing optimum solutions in advanced technologies. Expanded treatment of ESD and analog design of passive devices of resistors, capacitors, inductors, and active devices of diodes, bipolar junction transistors, MOSFETs, and FINFETs. Increased focus on ESD power clamps for power rails for CMOS, Bipolar, and BiCMOS. Illustrates the influence of analog design practices on ESD design circuitry, from integration, synthesis and layout, to symmetry, matching, inter-digitation, and common centroid techniques. Increased emphasis on system-level testing conforming to IEC 61000-4-2 and IEC 61000-4-5. Improved coverage of low-capacitance ESD, scaling of devices and oxide scaling challenges. ESD: Circuits and Devices 2nd Edition is an essential reference to ESD, circuit & semiconductor engineers and quality, reliability &analysis engineers. It is also useful for graduate and undergraduate students in electrical engineering, semiconductor sciences, microelectronics and IC design. Dr. Steven H. Voldman is the first IEEE Fellow in the field of electrostatic discharge (ESD) for “Contributions in ESD protection in CMOS, Silicon On Insulator and Silicon Germanium Technology.” Voldman was a member of the semiconductor development of IBM, Qimonda, and Intersil and worked as a full time consultant for Taiwan Semiconductor Manufacturing Corporation (TSMC) and a consultant on latchup, for the Samsung Electronics Corporation. He initiated the “ESD on Campus” program which was established to bring ESD lectures and interaction to university faculty and students internationally reaching over 40 universities in the United States, Korea, Singapore, Taiwan, Malaysia, Philippines, Thailand, India, China and Senegal. He is a recipient of 252 issued US patents and has written over 150 technical papers. He has served as an expert witness in patent litigation; and has also founded a limited liability corporation (LLC) consulting business supporting patents, patent writing and patent litigation. Steven Voldman provides tutorials and lectures on inventions, innovations, and patents. 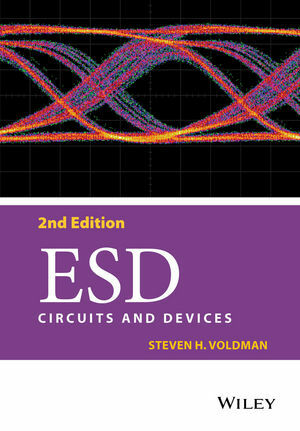 Dr. Voldman is an author of the book series including ESD: Physics and Devices, ESD: Circuits and Devices, 2nd Edition of ESD: Circuits and Devices, ESD: Radio Frequency (RF) Technology and Circuits, Latchup, ESD: Failure Mechanisms and Models, ESD: Design and Synthesis, ESD Basics: From Semiconductor Manufacturing to Product Use, and Electrical Overstress (EOS): Devices, Circuits and Systems, ESD: Analog Circuits and Design,, as well as a contributor to the book Silicon Germanium: Technology, Modeling and Design andNanoelectronics: Nanowires, Molecular Electronics, and Nano-devices. In addition, the International Chinese editions of booksare also released.